Recent acts of terrorism and the current unrest in the Middle East remind us how important it is to understand the relationship between violence, peace and democracy. 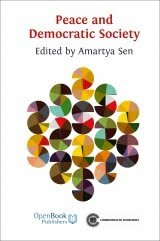 In a challenging and insightful essay, Amartya Sen explores ideas around 'organised violence' (such as war, genocide and terrorism) and violence against the individual. Highlighting the inadequacies of some of the widely accepted explanations for violence – including the idea that the world is experiencing a 'clash of civilisations' – Sen makes a plea for a global, multilateral debate on the causes of conflict, and an understanding of the multiple identities of the individuals involved. Amartya Sen is Lamont University Professor at Harvard University. His most recent book is "The Idea of Justice" (Harvard University Press, 2009). Amartya Sen chaired the Commission on Respect and Understanding. Among the other members is Professor Kwame Anthony Appiah. See also the website of the Commonwealth Secretariat. Habermas: How Democratic is the EU? Egon Flaig on Habermas and the "Historikerstreit"